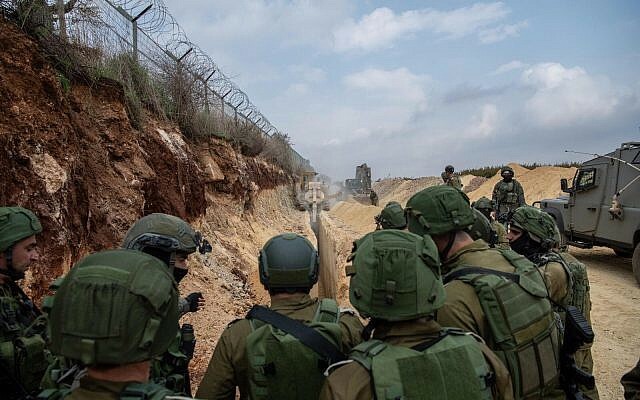 Hassan Nasrallah, leader of the Hezbollah terror group, on Saturday dismissed Israel’s operation to uncover and destroy cross-border attack tunnels as indicative of an intelligence failure and said the group’s plans for an invasion of the Galilee remained intact. UN Resolution 1701 ended the 2006 conflict and called for all armed groups in Lebanon besides the country’s military to remain north of the Litani River. Israel has for years claimed that Hezbollah has been violating the resolution by conducting military activities along the border. 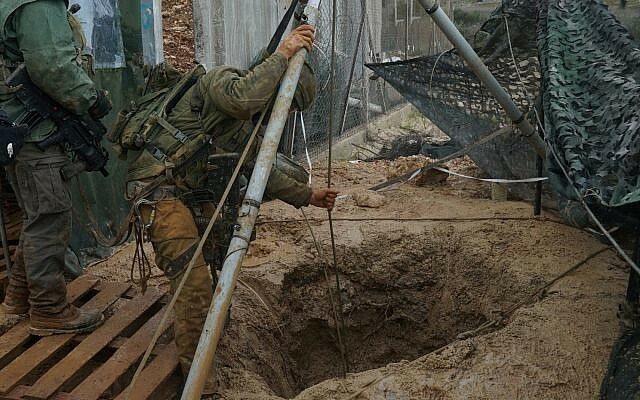 “The Israelis discovered a number of tunnels after many years, and it’s not a surprise. The surprise is that these tunnels, they took some time to find,” Nasrallah said on the al-Mayadeen channel. 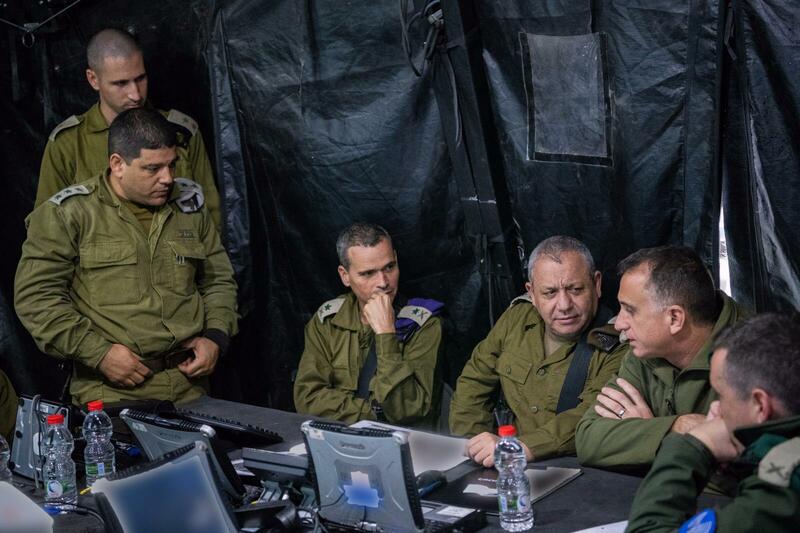 “One of the tunnels discovered in recent weeks is 13 or 14 years old,” said a smiling Nasrallah. The Israeli operation brought to light the “failure” of the country’s intelligence services, he added. Nasrallah’s claim on when work began on some of the tunnels appeared to line up with a Channel 13 report earlier this month. 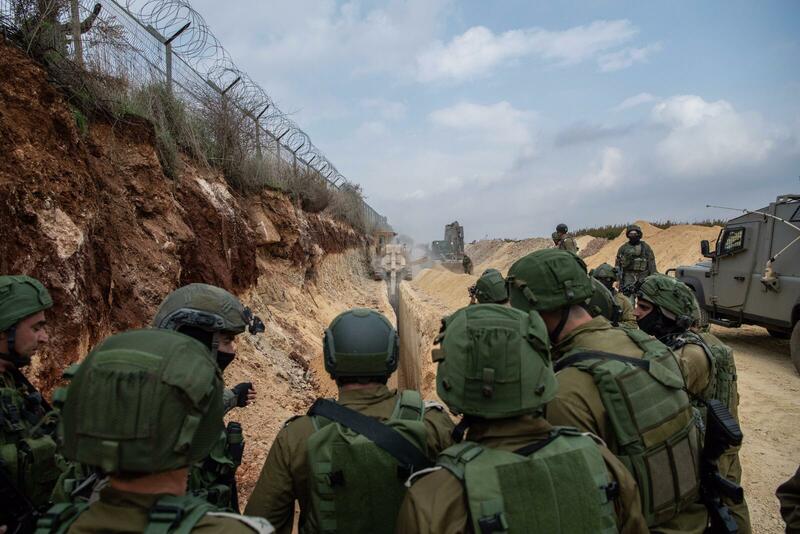 Israel has said it was aware of Hezbollah’s tunnel operations for several years. He went on to claim that the tunnels were hardly central to Hezbollah’s attack plan in a future war and that Israeli leaders had inflated their importance “to leave the [army]with a significant achievement” to boast of. But, he claimed, “The uncovering of the tunnels does not affect by 10 percent our plans to take over the Galilee. If we decide to do it — even if they’ve destroyed the tunnels — can’t we rebuild them?” He also suggested there may be attack tunnels on the Israeli-Lebanese border which Israel has not yet discovered. Nasrallah claimed that Hezbollah, which initiated the 2006 war with a border attack, would only enact such a plan in response to an Israeli attack and would not initiate it of its own accord. “If the Israeli enemy bombarded targets in the Lebanese lands, undertook a security operation in Lebanese land, carried out an assassination in Lebanese land… [or]killed anyone from Hezbollah in Syria…, we consider that an assault and we will respond.” he said. Israel has said Hezbollah possesses a small number of precision-guided missiles and is seeking thousands for use in a future war, a threat the Jewish state is determined to prevent. “Lebanese citizens know you aren’t defending Lebanon, but destroying Lebanon,” Avichay Adraee tweeted. Hezbollah, the outgoing army chief said, “had built what they thought was a fantastic plan, with several tunnels [entering Israel under the border]from the Metulla area to the sea, and their intention was to launch an attack that would begin with a surprise attack from underground — sending 1,000 to 1,500 fighters into our side.” To cover the invasion, “they planned a massive artillery bombardment of IDF bases. [They aimed to] gain control of a piece of Israeli territory and hold it for weeks,” he said. Saturday’s interview with Nasrallah was an extraordinarily long one, lasting over three hours. Despite his bluster, the terror leader would not officially confirm that the cross border tunnels had actually been dug by Hezbollah. 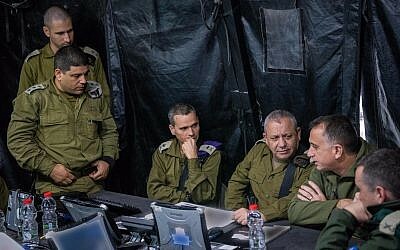 The IDF announced the end of Operation Northern Shield last week. Nasrallah also suggested that Israeli citizens should question the information they were being given on the tunnels, on the basis that northern residents’ concerns about the presence of attack tunnels had been dismissed for years. Nasrallah had not made a public appearance in months, leading to unconfirmed reports he was in critical condition following a heart attack brought on by cancer. He dismissed those rumors. “It’s amusing to hear reports of my death. I’m not obligated to [say]anything when there are no special incidents,” he stated. Nasrallah, 58, took over the Iran-backed Hezbollah group after its previous leader was killed in a 1992 targeted assassination by Israeli helicopters on his convoy. As a precaution against a repeat of the incident, Nasrallah’s movements are shrouded in mystery with few public appearances. He instead prefers videos or live television broadcasts. Hezbollah is designated a terror organization, either entirely or partly, by Israel, the United States, the European Union, and other countries. AFP contributed to this report. Originally posted at The Times of Israel. 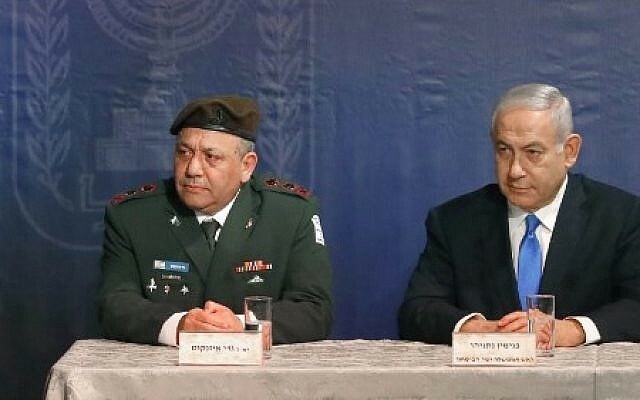 Our newsletter connects you with the major events affecting Israel. Viewpoint Israel reveals critical truths often omitted in the mainstream media about the reality of social, economic, and political issues in Israel. We shine a light into the darkness. We give you the truth behind the news. COPYRIGHT © 2019 VIEWPOINT ISRAEL | ALL RIGHTS RESERVED.